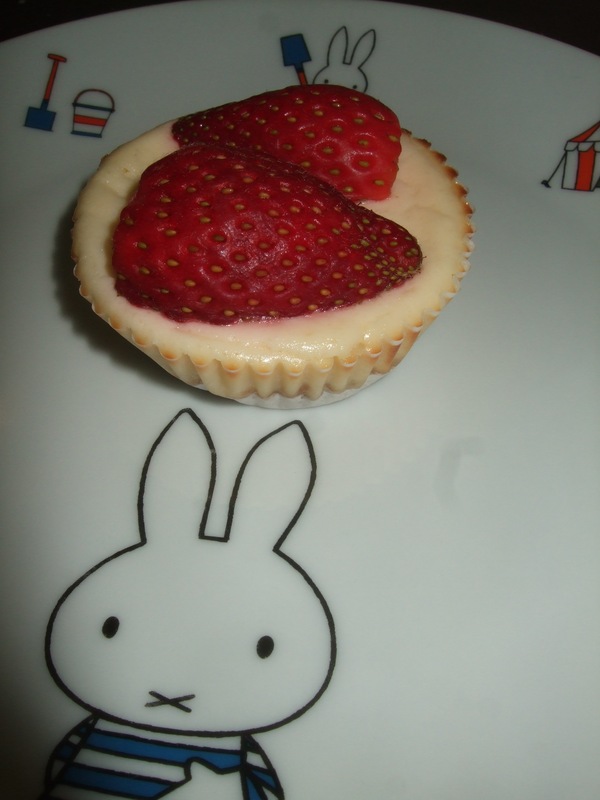 Mini Strawberry Cheesecakes | rubybeanx. 1. Preheat oven to 180 degrees celcius. Line 24 large muffin tray with large patty cases. I use the Homebrand white patty cases because they’re wide but shorter so you can make little cheesecakes. 2. Using an electric beater, beat cream cheese, sugar, vanilla extract and lemon juice until light and creamy. Beat in one egg at a time. 3. Crush biscuits into crumbs. Mix into crumble mix 1 tablespoon of caster sugar and melted butter until mixture is moist. Line each patty with 1cm thick base. Firmly compress the biscuit bases. 4. Top patty cases with cheesecake mixture to the top of patty pans. Bake for about 20 minutes or until slightly risen and starting to crack on the surface. 5. Set aside in the pan for 10 minutes, before placing on a wire rack to cool completely. Top with strawberries or any other berries.Refrigerate for 1 hour or until chilled. Dust with icing sugar to serve. Tags: cheesecake, dessert, mini, strawberry. Bookmark the permalink.